More than 70 teams competed at the New England Sports Center in Marlborough, Massachusetts. The 2017 Boston Synchronized Skating Classic took place last weekend. Team Nova from Canada took won in the juniors, the most prestigious category in this competition. «After the short program, we are currently in first place!», wrote the junior Team Nova on Instagram. The race was very close. After the short programs, only 0.06 points separated the two first teams. Finally, Nova confirmed its lead by winning the free skate with a program on «Kill Bill». Team Excel followed and DC Edge from Washington. No team skated in the senior division. In the novice division, Skyliners representing New York did the best score and got even 13 points more than Team Image who finished 2nd. DC Edge came in third, followed by Team Delaware and Mirror Images from Thomas Creek. The intermediate was one of the biggest categories with 11 teams. 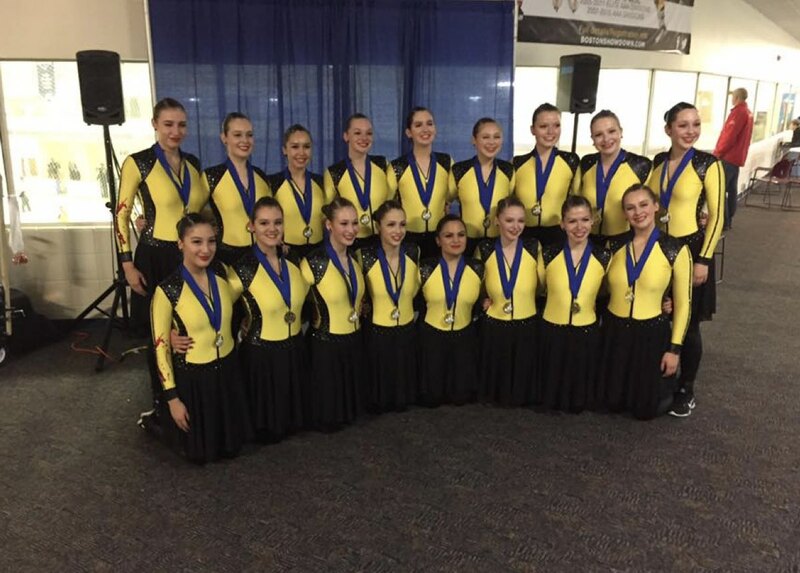 Skyliners also won the competition with a total of 62.31 points and an amazing program on the Addams Family. Star Mates and Team Image completed the podium. Skyliners also won the competition in the juvenile division. The young athletes from New York skated to «Hello Dolly » and took the lead in the rankings with 5 points more. Representing Hayden Synchro, Mini Mates placed 2nd and Team Delaware finished 3rd. Other divisions were also competing as Open Collegiate, Open Juvenile, Pre Juvenile, Masters, Preliminary or Adult… Have a look at the complete rankings!